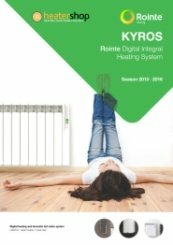 The Rointe Kyros ACMI120 infrared remote control system integrates in one device which can control all products that make up the KYROS Series heating systems. Its ergonomic design is perfectly suited to any user and has easy to use keys. 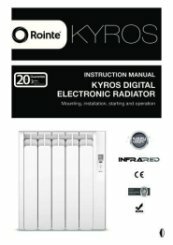 The AIR Control is interchangeable between the K and Kyros range. Thank you for your great comments and excellent service rating, we appreciate it very much. Brilliant, thank you for reviewing the remote. Thank you very much for the great review of our service and free next day delivery. Easy to use with the help of the booklet. I am an oldie but found it easy to understand and use. The booklet was very useful too. We had a slight problem dealt with very quickly and to my satisfaction. Well done heater shop. 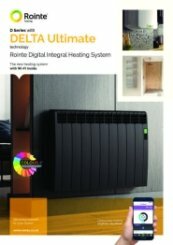 Our heaters were ordered and delivered within 24 hours. Thank you very much for your great comments and fantastic feedback, we appreciate it greatly. 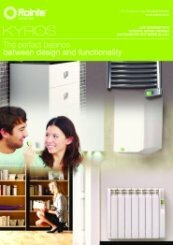 Easy to install and remove for cleaning and decorating. Very efficient and easy to programme. Aesthetically pleasing. Very quick response to my initial request for quotation. Accommodated change to order really efficiently and provided good updates of order progress. That is really great to hear, thank you very much for your fantastic review. The free remote was a bonus. The remote is a really great bonus - thank you for your 5 star rating. Excellent service, all products were well packaged. First delivery was all on time, but the second was delivered a little late, but the additional pre 10:30 delivery charge was refunded strait away. Thank you for your great review and I am very pleased that our service impressed you. 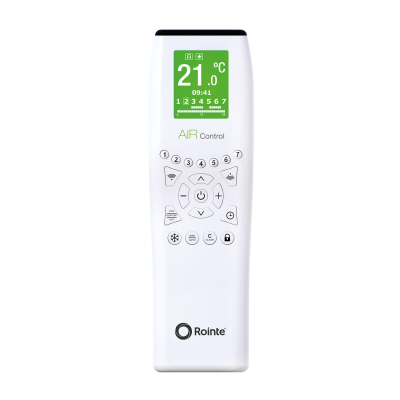 The Rointe Kyros ACMI120 remote control is a really great product giving you flexible and complete control. Many thanks for your great feedback, we appreciate your fantastic comments on our service very much. Initial impressions are good. Well made. The instruction book is not perfect or entirely clear. 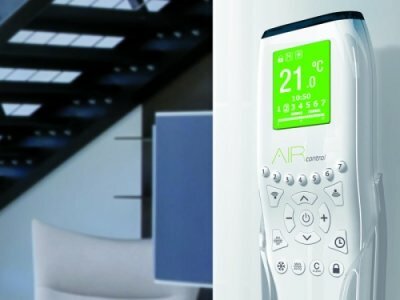 However the unit makes working the radiators simple if you don't have the app or access to it, and is certainly vastly better than trying to programme the units using their touch screens. Sound advice and prompt service. I would not hesitate to use them again. Thank you very much for your review, we appreciate your great comments. We make every effort to package our products well to ensure that they are protected during transit. Makes programming much easier. 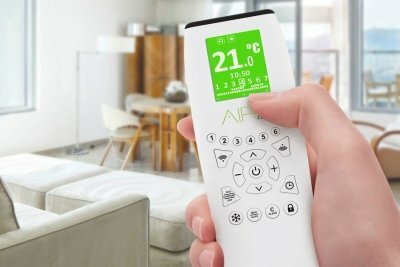 Much easier than using the controls on the heater unit. I briefed my 10 year old on what was needed and she dealt with it! Child's play? Dealt efficiently with my questions and were pleasant to speak to. Thank you very much for you feedback, I'm slightly confused by your selection of a negative for service as your comments all seem positive, if you would mail me with any issues you had through the transaction I will of course be happy to sort for you. 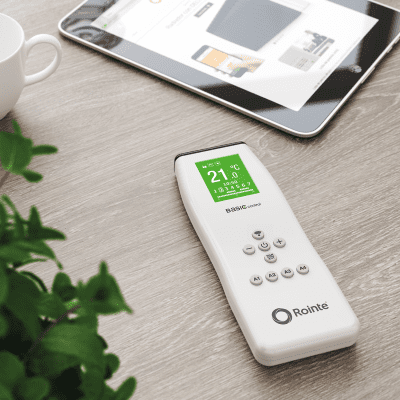 Useful remote control, easy to wirelessly send programming information to radiators, very pleased with it. When it comes to programming issues - it is generally more efficient to deal with our support partners / manufacturers, although we will of course be with you through the process, and until any issues are resolved. I will pass on your great comments to Dean, thank you. Haven't managed to get it to work yet - programmed but can't get it to transmit. 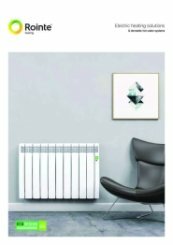 Have used one before when heater was installed so waiting for installer to come & tell us if we're doing something wrong or whether there's a fault. 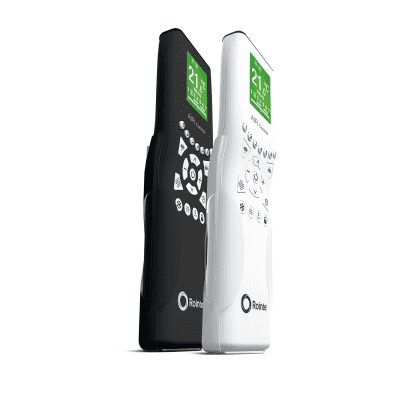 I can't use the remote myself as symbols, buttons etc are too small; my partner has to do it & she struggles. 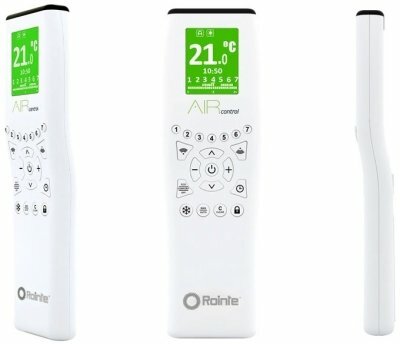 These heaters & remotes are not suitable for anyone who does not have perfect sight. Quick & efficient delivery - liked to be able to track delivery in real time & have accurate estimate of arrival tme. Deliverer fell at the last hurdle though as rang bell for me to let him into flats & then left parcel with house manager instead of coming to flat so I was left standing at door wondering where he had got to. Thank you for your feedback. If you need any further assistance or advice in the future, please do not hesitate to contact us. Thank you for your glowing report, we appreciate this very much. If you need any future assistance please call us on 01473 276686. If you need any assistance please call us on 01473 276686, we are happy to help with any queries. Thank you very much for your great feedback and future recommendations. 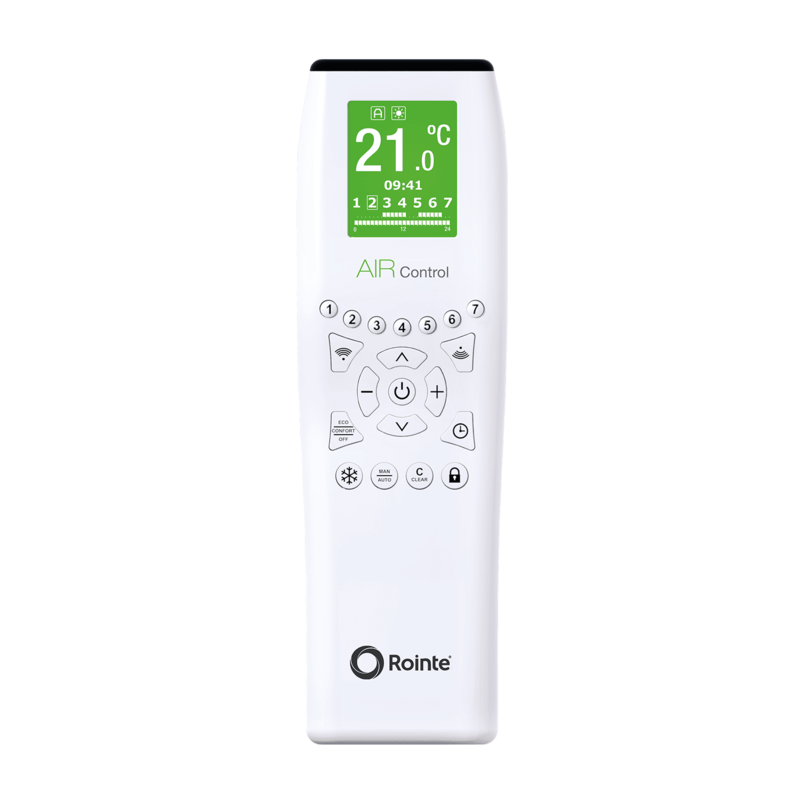 If you need any assistance setting up your Rointe Kyros ACMI120 remote control, please do not hesitate to give us a call on 01473 276686. Thank you very much for review and your recommendation, we appreciate both very much. I would normally only write complaints but for once I cannot think of anything negative. The Heater Shop and its staff get a 10/10 from me. Thank you very much for your fantastic review. As you can imagine - we love getting comments like yours, reaffirming us that all of our efforts are very much appreciated.